The GearWrench 1/4'' Drive SAE/Metric/Torx Vortex Bit Sockets are broached for use with 1/4'' and 3/8'' conventional square drive ratchets, and are available in Hex, Torx, Phillips, and Slotted. The 89036 GearWrench 3/8'' Drive SAE/Metric/Torx Vortex Bit Sockets is one of thousands of quality tooling products available from MRO Tools. Please browse GearWrench 3/8'' Drive SAE/Metric Vortex Bit Sockets for tools similar to the 89036 GearWrench 3/8'' Drive SAE/Metric/Torx Vortex Bit Sockets. 89036 GearWrench 3/8'' Drive SAE/Metric/Torx Vortex Bit Sockets description summary: GearWrench 3/8'' drive sae/metric/torx vortex bit sockets. 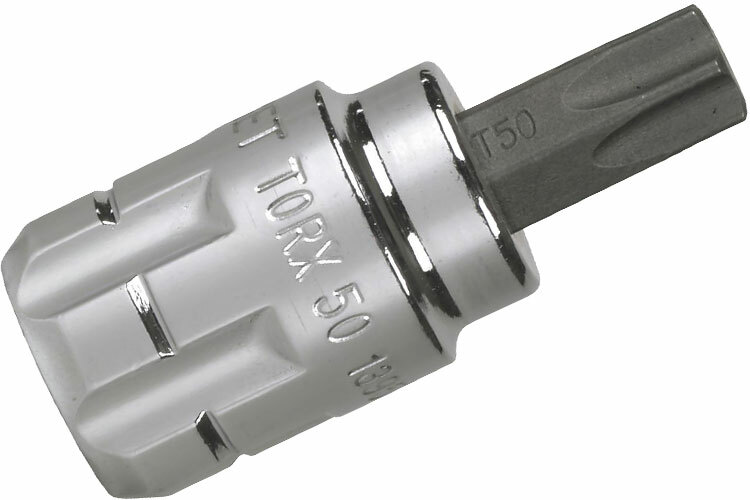 Drive Type: Hex/Torx Fastener Size: 6mm Length: 1.80'' Quantity discounts may be available for the 89036 GearWrench 3/8'' Drive SAE/Metric/Torx Vortex Bit Sockets. Please contact MRO Tools for details.